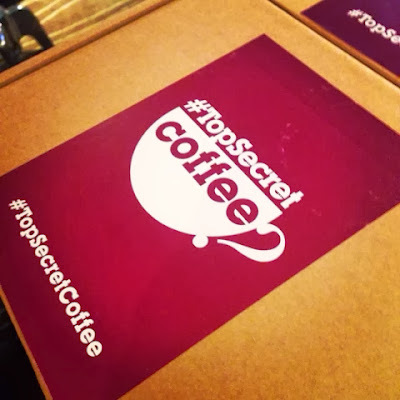 #TopSecretCoffee are a well known high street retailer, who have gone under cover to promote their coffee through a series of blind tasting opportunities. Along with their trusty burgundy van, the TSC team have travelled the length and breadth of the country, challenging the public to guess their identity - handing out gallons of free coffee along the way! Now, at The Afternoon Tea Club, it's fair to say that coffee isn't top of our caffine agenda. 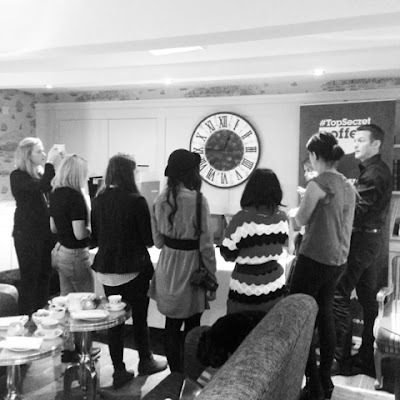 However, from time to time, we do like to indulge in the odd latte or two (we've even been known to drink coffee at afternoon tea before now, but shh don't tell anyone, that's our #TopSecret) so when we had the opportunity to watch a coffee expert in action, we jumped at the chance! Led by #TopSecretCoffee's resident bean aficionado Will, the session started with a cupping demonstration, which had us slurping a selection of black coffees to analyse their taste. Whilst this was super fun, we have to say that Will's accompanying discussion was the highlight of this session, giving us lots of interesting facts about coffee. For example, did you know that coffee is a cherry? or that Vietnam is the main producer of coffee? No, us neither! After the tasting, everyone then had the opportunity to try a full cup of whichever type they preferred. On this occasion, we went for a latte, which was wonderfully smooth and creamy - exactly what the doctor ordered. Then came the afternoon's piece de la resistance. Afternoon Tea. Now, it's no secret that the Great John Street Hotel is one of our all time favourite afternoon tea venues, so we were delighted that we had the opportunity to sample their lovely products again. As usual, the presentation and food was immaculate, making for a superb afternoon! So that's enough about the event as I'm sure you're dying to know who was behind this fantastic event and #TopSecretCoffee? The brand behind #TopSecretCoffee is Greggs the Bakers - would you believe it? We'll definitely be heading to over there soon for another caffeine pick-me-up. Check them out on your local high street today! 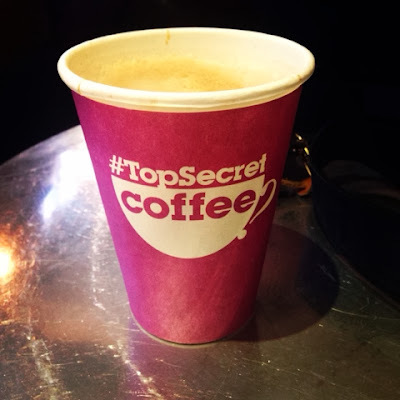 Have you seen the #TopSecretCoffee Van in your local area? What did you think? Let us know in the comments below or tweet us at @TeacupReview! Great views, sound is nice. I think it has to be newly renovated, while i wasn't a fan of the fake laminate wood paneling that is everywhere, i did appreciate the other aesthetics of the place.